Camp Bestival 2019 - News - Camp Bestival’s Superhuman Christmas Offer! 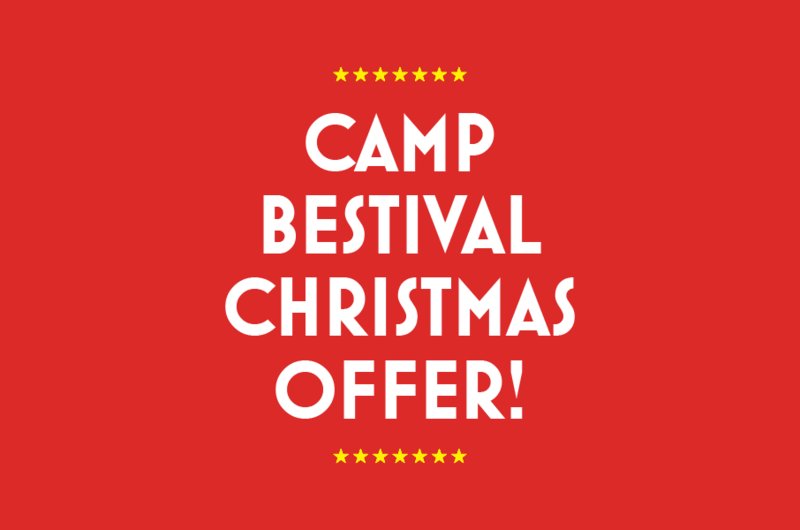 Our Camp Bestival 2019 Christmas Offer has now ended. Christmas packs will be sent out in the post to arrive before Christmas Day. Kerpow!! We’re super excited to announce our Camp Bestival Christmas Offer to bring some festive cheer to your Christmas table. 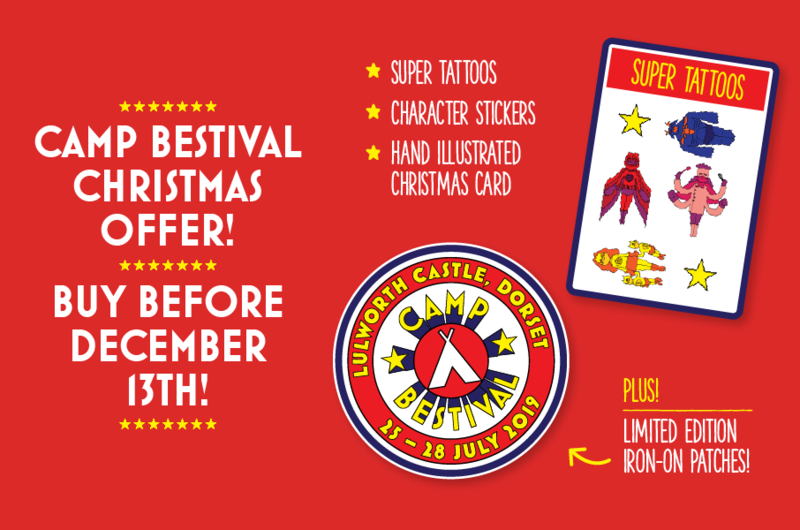 Order your 2019 tickets before midday Thursday 13th December and you’ll receive some extraordinary Camp Bestival stocking-fillers: temporary heroic tattoos, Camp Bestival superhero character stickers, a hand-illustrated Christmas card and limited edition iron-on Camp Bestival 2019 patches. If you ordered your Camp Bestival tickets before 30th November, fear not as you can still claim your amazing Camp Bestival stocking fillers. Simply complete this form to receive your free superhero Christmas Pack! Don’t forget you can use our mighty Payment Plan to split the total cost over several months after a small initial deposit and booking fees.